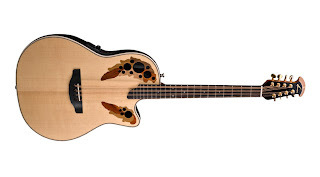 One of my summer projects is to finalize the design for the Mandocello I plan to build this fall. I'm certainly not an instrument designer but I am trying to come up with a design that is both aesthetically pleasing and playable. I also have a certain skill level in building that I want to match.. So for now those requirements rule out a caved arch of the A or F style classic Gibson's. s to guitar body shapes and beyond. Also the tuning of what some people are calling Mandocellos varies some tuned more like an Irish Bouzouki and a Mandocello. I think of a Mandoceloo as still the Cello part of a Mandolin orchestra so still CGDA Exactly the same a bowed Cello. So my plan is to build a Mandocello that is tuned to the standard tuning CGDA and use a guitar shape with an induced arch top and back. Now there are a lot of other parameters to consider, things like scale length, body size, depth and arch. One of the big decisions with a Mandocello, at least for me is scale length, A bowed Cello is about a 27" scale length but for me anyway that is too long to play comfortably. The problem is the shorter you go with scale length the harder it is to the the low C string to have enough tension.. A good scale length for my hand size would be 24.25" but that is getting really short for a Mandocello. I will most likely use a 24.75" scale length which is the same as the old Gibson A style Mandocellos. You also need to consider the body size, and although I am using an Gibson A style scale length I think the A style body does not have quite enough internal volume for the lower register.. 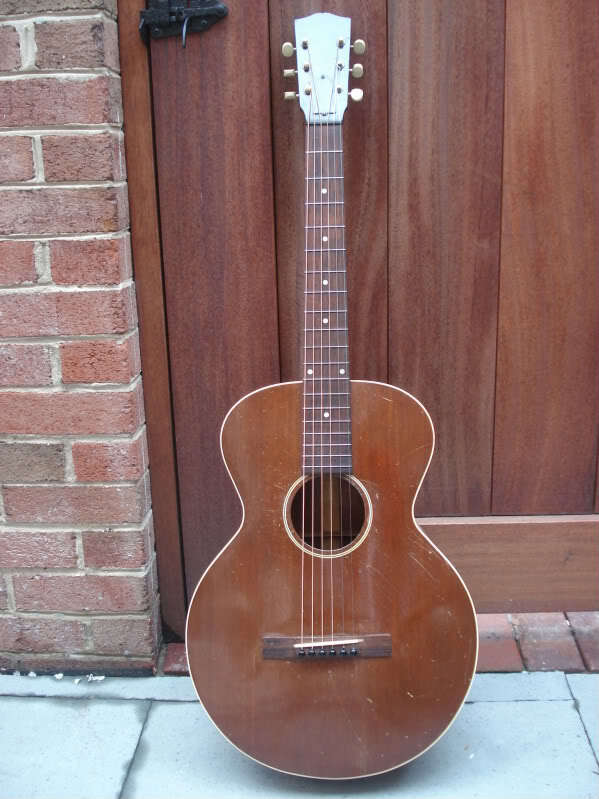 So I am going to use a Gibson L-0 bidy shape. Next the stress on the body, since I am not using a carved body plates I need to account to the increased string tension of a Mandocello over what a 6 string guitar's String tension would be. The tension on a Mandocello is almost double a 6 string guitar.. I will be reworking the bracing pattern to mimic what would be a 12 string guitar X brace design.. perhaps with carbon fibre Over the summer I'll be finalizing that design as well. Also the neck has to withstand these forces as well so I am planning a Narra neck with a double acting truss rod and I am debating carbon fibre reinforcement. Lastly aesthetics Mostly because the last few instruments I've built have been darker tone I'll be going a bit lighter looking for this one.. I'm planning a Oregon Myrtle Back & Sides with a Sitka Spruce top (Sitka will help in withstanding the string tension) The trim on the instrument is planned for Indian Rosewood, I'm still deciding how I am going to do the rosette but it will be some form of segmented wood rosette I think. So there is the process thus far.. Of course you can follow this Mandocello as I build it. So As I said I did change strings on the little tenor I built and the new ones do work better. The guitar is settling in nicely and I quite happy with the sound.. It is an Octave Mandolin sound..
Summer is just around the corner - I hope so I doubt there will be much guitar building going on in the summer. I have lots of plans right now and not many of them involve Lutherie.. I do hope to get a few more jigs built over the summer and perhaps an new tool box made. The other thing I really want to do is finalize the design for the Mandocello that will be the next instrument I build.. I've got the over all design in my head and just need to decide on all the details.. It is going to be a guitar shape based on the Gibson L-0 from the late 1920's.. It is going to be made of Sitka Spruce, Oregon Myrtle and Narra with most likely Indian Rosewood trim.. It is going to be a short scale instrument (as Mandocellos go) with a 24.75 or 24.4 inch scale length.. I may bet started on it over the summer but I doubt I'll really get into it until September. The strings are a bit floppy on it so I'm going to replace them with some Mandola strings which as 0.049, 0.034, 0.023 & 0.014 Which should give 21 to 23 pounds string tension across the board. All in all I'm happy with the results, it has a Mandolin like sound and should be good for playing Celtic pieces.. One I sort ou the strings I'll try and post a sound clip.